INDOCHINE - Envie d’illuminer vos papilles par de nouvelles saveurs ? C’est au restaurant Au Coin des Gourmets que vous assouvirez vos désirs. Idéalement situé à deux pas de la place Vendôme et du jardin des Tuileries, ce restaurant traditionnel est venu tout droit d’Indochine pour vous offrir une escapade culinaire inoubliable. CUISINE VIETNAMIENNE - Surpris par ses noms, vous serez tout autant étonné par leur goût ! Bo bun, une soupe piquante aux nouilles de riz et au bœuf, Banh coun, une crêpe garnie de viande de porc et de champignons noirs… tant de mets qui ne pourront pas vous laissez indifférents ! ORIGINALITÉ – Le Chef du Coin des Gourmets, un grand passionné des vins français, sera à votre disposition pour vous conseiller le vin le plus approprié à votre dégustation. We passed by Au Coin des Gourmets during the day and thought the menu would be a break from the heavier French food we’d been eating for the last few days. We made a reservation online for 9 and were promptly seated upon arrival. Service was great, food was amazing! We tried many dim sum choices, cold spring rolls, spareribs, beef satay, shrimp with basil. The highlight was the sweet and sour soup- the flavor was delicious. We loved hearing the story of Madame Boun’s time at the famous Indochine in NYC and saw some photos in the book in the restaurant. I highly recommend!! Always the warmest welcome and a delicious meal at each visit. Have been coming for years and it's always our first and last meal during our Paris stay. We're always grateful to have this gem of a restaurant to dine at. Calm and beautiful dining room with very friendly staff. Merci Barbara & Chhim! Always the most gracious hosts. The pad thai was too salty. I know what I say, I ate it in different parts of the world and different restaurants. But the price for it is far from reasonable compared to other dishes of the menu. Overall, an ok place, just not take pad thai. Very cincerly cooked food. Service is warm and welcoming. Excellent Vietnamese food prepared with care and presented artfully. Appetizers were delicious, especially spring rolls. Carmaluzed pork in fish sauce was superb. Service was attentive and wine list extraordinary. Don't miss it! Food was delicious but expensive. Great food, well presented and well priced. 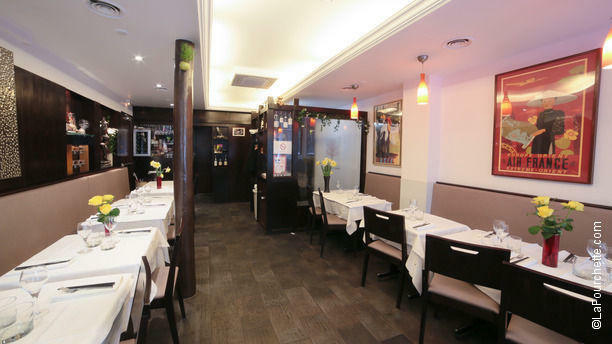 For a change of pace from Parisian cuisine, we highly recommend "Au Coin des Gourmets". Good Asian food from several cultures from a large menu. The won ton soup is especially good. I great meal. Very friendly service. I thought in booking with you for a meal at 18 euros that it would represent a discount but discovered the same meal on the menu. With everything, it came to almost 30 euros a person which I found too expensive for the very small portions. A friendly place with tasty food. I was impressed by the way I was received by the staff; downstairs the cosier environment would be ideal for a quiet meeting. The quality of the cuisine was high. Worth a visit.